The cooler the weather gets, the more I want to drink warm drinks.... coffees, teas, ciders. And, when I have a warm drink in hand, nothing pairs better than something sweet! 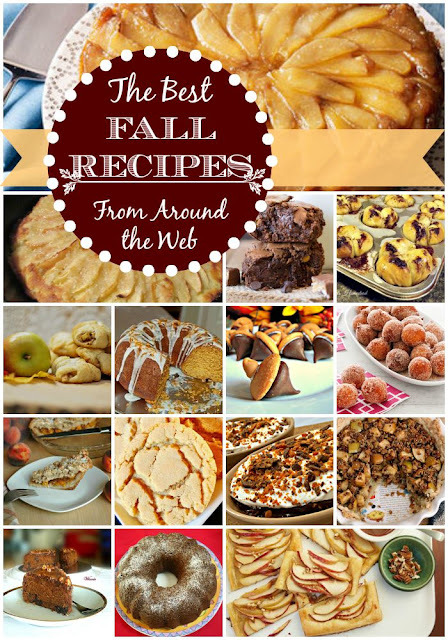 Here are some yummy, fall dessert recipes to satisfy your sweet tooth. Thank you so much for including my great-great-grandma's dutch apple cake! These all look amazing! It was PERFECT for this roundup! I can't wait to try the recipe! It looks so tasty!! I'm working late tonight and now I want to get up and bake! Thanks for sharing all those delicious recipes. What a lovely surprise Heather! !